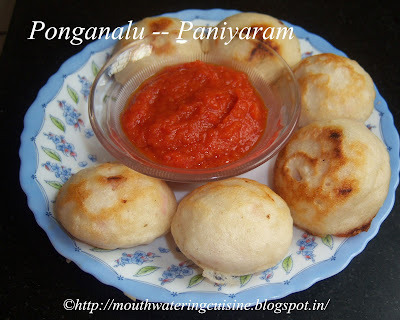 Gunta Ponganalu -- Ponganalu -- Paddu -- Paniyaram -- Name may change but almost all of them are same. Ponganalu is the traditional snack of Andhra. It is fluffy and smooth. This is served in breakfast, with some spicy chutney. 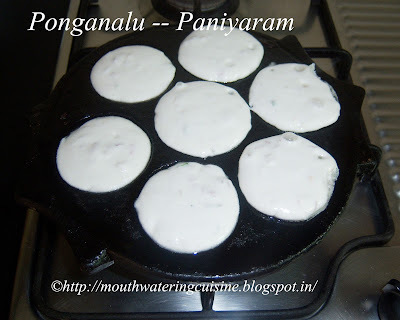 They are prepared in a special skillet which has slots (guntalu). It is called as ponganalu or paniyaram pan. We get non-stick pans and traditional stone pans also. It is better to use non-stick pan. But I have stone pan, so I use it. 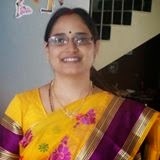 Normally they are made with dosa or idly batter. Add some chopped onions, ginger and green chillies to get tasty ponganalu. I normally make with one or two day old dosa batter, as it will have little sourness. Soak rice, black gram, fenugreek seeds and flattened rice for about 3 to 4 hours. Grind them to fine and smooth paste. Keep it aside to ferment for at least 10 to 12 hours. It is good to use one or two days old batter to get nice fluffy ponganalu. Or else prepare the batter a day before making them. Prepare batter a day before and allow this to ferment for 10 to 12 hours. Finely chop onions, ginger and green chillies. Mix all of them with the batter. 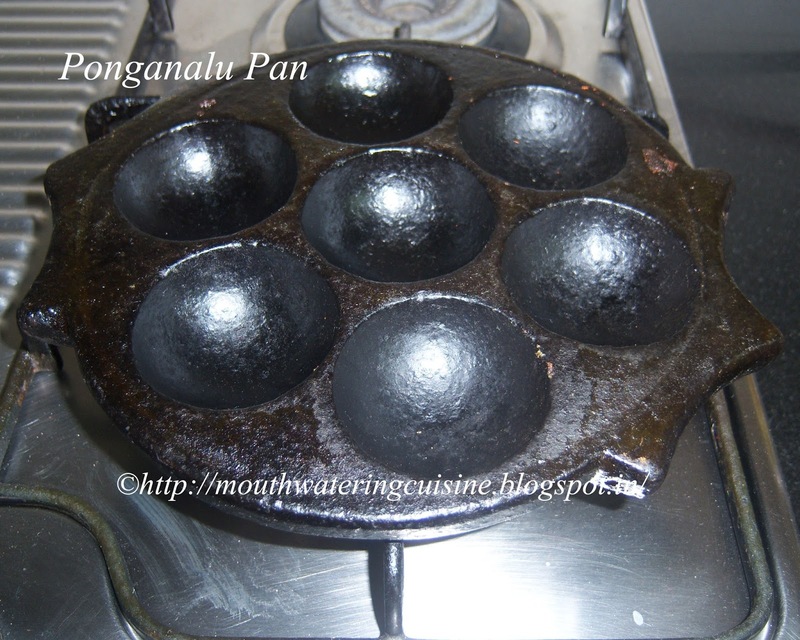 Heat ponganalu pan. Add a little oil to it. Let the fumes come up, drop a spoonful of batter in each slot. Cover it and let it cook for 2 mins. Once they are done, turn them and also cook on the other side. 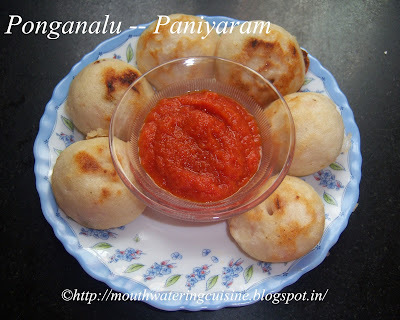 Serve hot ponganalu with spicy chutney. I served them onion chutney.